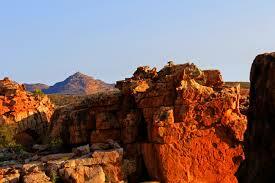 South Africa is an arid country. Apart from a thin strip along the south coast and the sub-tropical east coast, much of the interior consists of semi-desert or bushveld. Yet there is water, and where there is water, there is life. When many of my friends went on holiday to the coast, my parents used to take me into the mountains – specifically the Cederberg, which is situated near the dry West Coast. Sometimes we also went hiking further inland, in the Karoo semi-desert. I learned to love the big sky, the emptiness of the landscape and yes, the blessing of the rivers which wind a ribbon of life through the landscape. It’s hardly surprising that the original inhabitants of this land – the Khoe and San hunter-gatherers – had myths related to the denizens of these bodies of water. One such, that has persisted into the modern era and possibly blended with stories European settlers brought over is that of the Karoo mermaid. It’s not uncommon, in some of the smaller communities, to encounter someone who knows someone who had some sort of supernatural experience. In fact, many folk beliefs persist despite the average rural South African paying lip service to the dominant religion of the country – Christianity. Much like our Uniondale Hitchhiker (and yes, I’ve met someone who says their son experienced this phenomenon – it’s always a friend of a friend), the Karoo Mermaid persists. She is said to sit by the waterside, combing her hair. She’s been likened to a genius loci much like Zambia’s Nyami Nyami – a water spirit intrinsically linked to the water source that one wouldn’t want to anger. It didn’t take me much of a leap of the imagination to play on the fluidity of this being, to tap into the darker undercurrents that sweep away the protagonist in my story. As a child (and something that has persisted into adulthood) I’ve always had a deep, abiding fear of water where I cannot see the bottom. What else do I share the river with when I go swimming? Will cold, fish-pale hands reach up from the depths to drag me under? I’m the one who sits on the bank while my friends cavort in the mountain pool. Unless the water is crystalline (which isn’t the case with most Cape watercourses due to high tannin contents) I simply refuse to swim. Logically, I understand that there is nothing in the water more malicious than hidden rocks and submerged branches. I have nothing to fear, right? Rivers are life in this dry land, yet the water itself presents unpredictability, danger. Perhaps our older generations personified the rivers, in order to give a name and known qualities to the water courses. Sometimes the rivers dwindle to nothing during drought. Sometimes nature rages and brings down a torrential flood. To have some sort of entity to propitiate was a way to gain a a modicum of control over this force of nature. Truthfully, we’ll never know. These days we dam our rivers, divert them or fill in our wetlands. Nature bows to our whims. We ignore her at our own peril. Personally, I immerse myself in the magic of the beauty of nature, and love asking, “What if?” and take the story from there. And no, I won’t go swimming with you. Nerine Dorman is a South African creative who loves to tell stories. You can follow her on Twitter @nerinedorman.